Apple argues against ruling ordering it to help the FBI unlock San Bernardino shooter's iPhone. Apple on Thursday argued in court against a ruling ordering it to help the FBI unlock an encrypted iPhone belonging to Syed Farook, one of the San Bernardino shooters, Reuters reports. The company argued that such a move would violate its free speech rights and require it to devote significant resources to comply. The FBI is seeking Apple's help to access Farook's iPhone by disabling some of its passcode protections. Apple argued in a brief submitted to the court that software was a form of protected speech, and thus the Justice Department's demand violated the constitution. "The government's request here creates an unprecedented burden on Apple and violates Apple's First Amendment rights against compelled speech," it said, according to Reuters. Apple also argued that the court was over-stepping its jurisdiction, noting that Congress had rejected legislation that would have required companies to do the things the government is asking Apple to do in this case. The company added that the court order, if upheld, could leave individuals and business vulnerable to an unlimited array of government directives. "Under the same legal theories advocated by the government here, the government could argue that it should be permitted to force citizens to do all manner of things 'necessary' to assist it in enforcing the laws," it said, according to Reuters. It gave examples, "like compelling a pharmaceutical company against its will to produce drugs needed to carry out a lethal injection in furtherance of a lawfully issued death warrant or requiring a journalist to plant a false story in order to help lure out a fugitive." 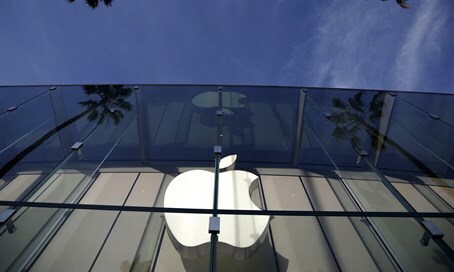 Apple laid out in its brief the resources it believes would be necessary to comply with the government's request, saying it would likely require a team of up to 10 Apple engineers and employees for as long as four weeks. Complying with the request would also likely lead to "hundreds" of more demands from law enforcement, the company added. Apple CEO Tim Cook said in an interview with ABC News on Wednesday that the company was prepared to take the case to the Supreme Court if necessary. The FBI has said that Farook and Malik were both radicalized "for quite some time" and had taken target practice at Los Angeles-area shooting ranges, one of them "within days" of the massacre. It is believed Farook had contact with people from at least two terrorist organizations overseas, and investigators have also said Malik had pledged allegiance to the Islamic State (ISIS) group in a Facebook posting.